Billy McKinney, OF, Blue Jays – After lots of success in the minor leagues, and bouncing to a few different organizations, McKinney made his MLB debut with the Blue Jays and quickly had a game to remember. On August 21st against the Orioles he went 2-for-3 with a walk, two runs scored, three runs batted in and his first Major League home run. The Jays won the game 8-2. 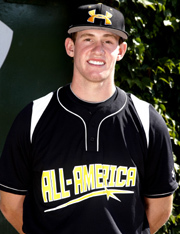 McKinney participated in the 2011 Under Armour All-America Pre-Season Tournament and was part of the 2012 Under Armour All-America Game. Nicky Delmonico, OF/1B, White Sox – While Nicky has logged a bit more service time in the Major Leagues than the other players on this list, he’s still a young player. It looks like he is starting to find his groove as he is in the midst of a eight-game hit-streak stretch in which he is hitting .300 and has homered four times, driving in eight runs. 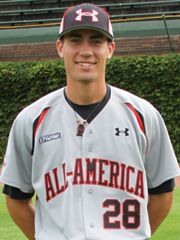 Delmonico was part of the 2010 Under Armour All-America Game. Dominic Smith, 1B/OF, Mets – Dominic has spent the last month with the Mets in the Major Leagues and looks to be getting comfortable at the plate despite limited playing time. He came into the game as a pinch-hitter vs. the Phillies on August 19th and doubled to drive in a run to give the Mets an 8-2 lead then homered against the Giants on the 22nd in the team’s 5-3 victory. 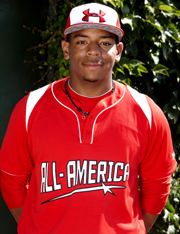 Dominic was part of the 2012 Under Armour All-America Game. 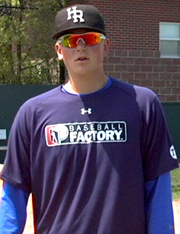 Ryan Burr, RHP, White Sox – Yet another member of the White Sox makes the list, as Ryan Burr made his MLB debut on August 23rd. Burr came out of the bullpen to retire all four hitters he faced with two strikeouts in an inning and a third of relief. 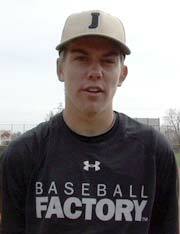 Burr attended an Under Armour Baseball Factory National Tryout in Lakewood, CO in May of 2011. He spent three seasons at Arizona State University as the team’s closer, converting 38 saves, posting a 2.79 ERA and 190 strikeouts in 135 innings pitched.